3. Players running ground grid, then on command, perform the named jump (e.g. jump into a squat, single leg hop into single leg landing) with emphasis on soft knees in landing. 4. T-Ladder Drill - players run through the front ladder, land 2 footed in end square. 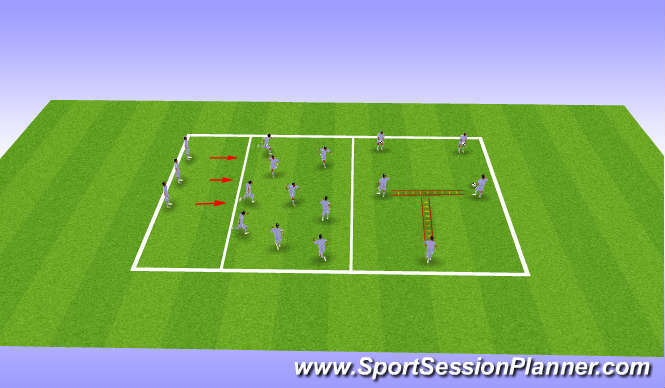 Then, hop laterally on command (left leg when going left) through ladder, stick the landing and side pass volley to thrower. Player then replaces thrower. Emphasis on soft landing.